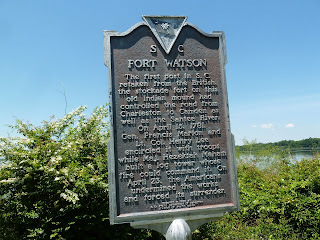 Fort Watson and Santee Indian Mound is located near the town of Summerton SC off Hwy 15 on Lake Marion adjacent to the Santee National Wildlife Refuge. The Santee Indians lived in this area for over 1,000 years. 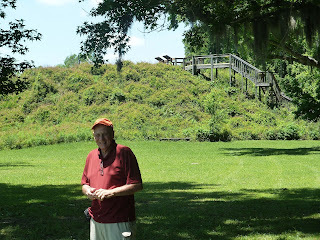 The mound served as a ceremonial center for native culture. The mound was used for burials and religious rites. 16 graves have been excavated. Around 1650 the tribe numbered 3,000. In 1715 it had been reduced to 500 due to illness and death resulting from diseases brought by the Spanish and English. 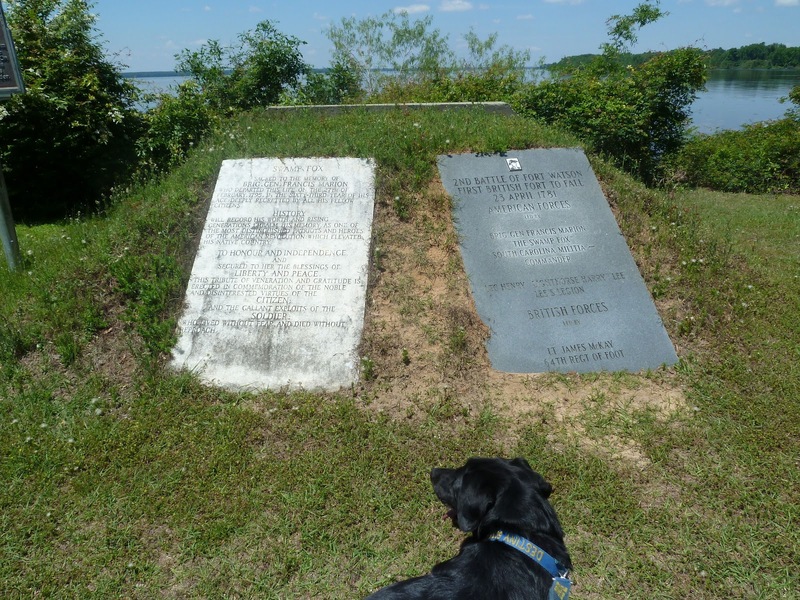 They were successful farmers and evidence suggest that there were structures on the mounds. 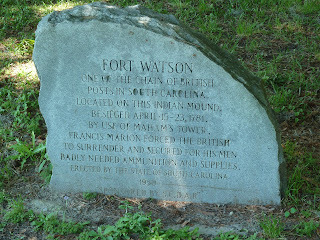 By the American Revolution the site had been abandoned and a British fort was build on the mounds called Fort Watson. This proved to be an ideal location as it provided a vantage point that overlooked the Santee River and the road to Charleston. In 1781, General Sumter's partisans attempted to take the post, which cost many patriot lives as the British used their cannons. Finally in April the cannons had been moved to another position and the Americans were able to undermine the surrender. 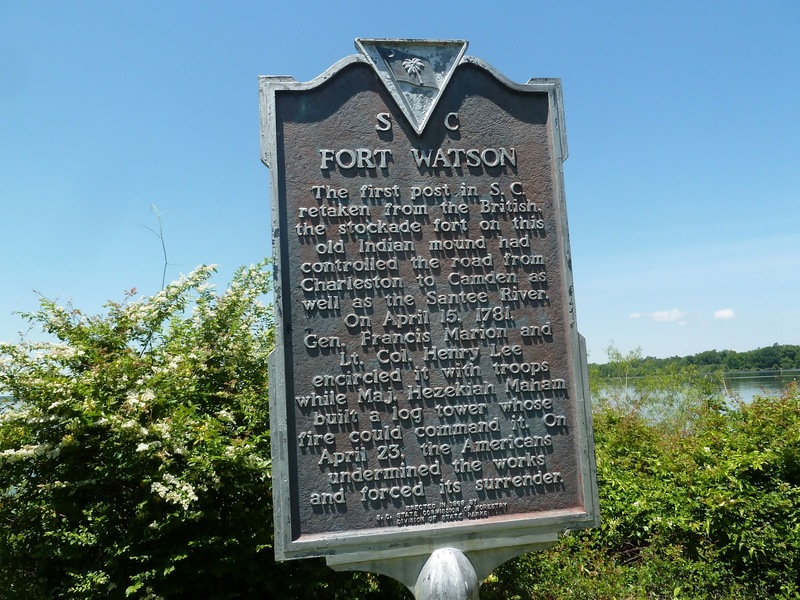 The terms of the surrender provided soldiers in regular British Army be allowed to march to Charleston and were exchanged for American POW's . The Americans did not wish to occupy the post and began demolishing it.. The action at Fort Watson only lasted 8 days with few casualties. Other than the remains of the mound there is nothing left of the fort. 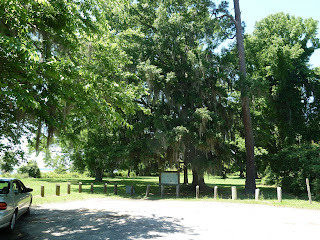 The park is a refuge for wildlife, with many hiking trails and bird watchers eden.